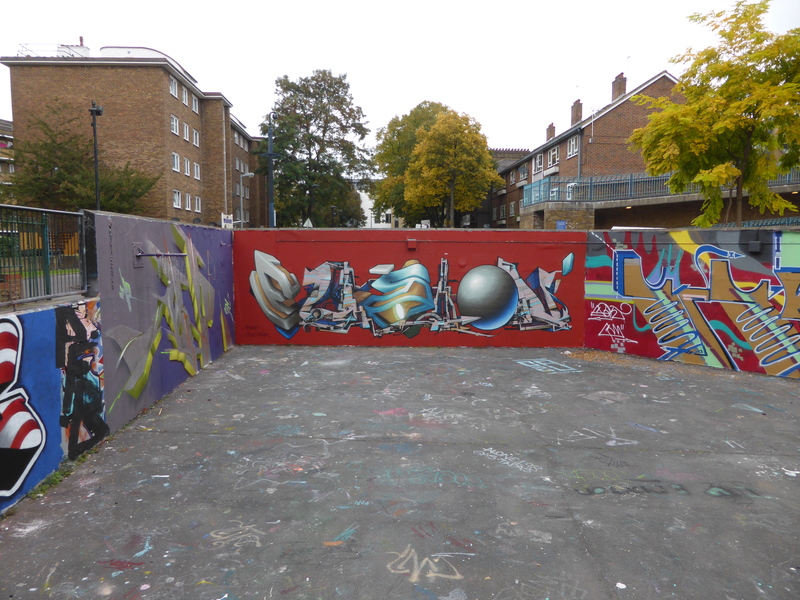 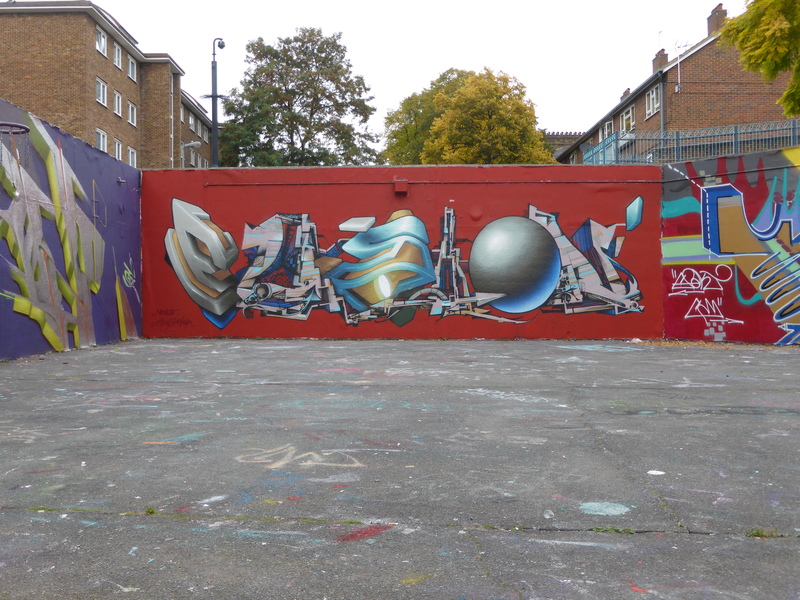 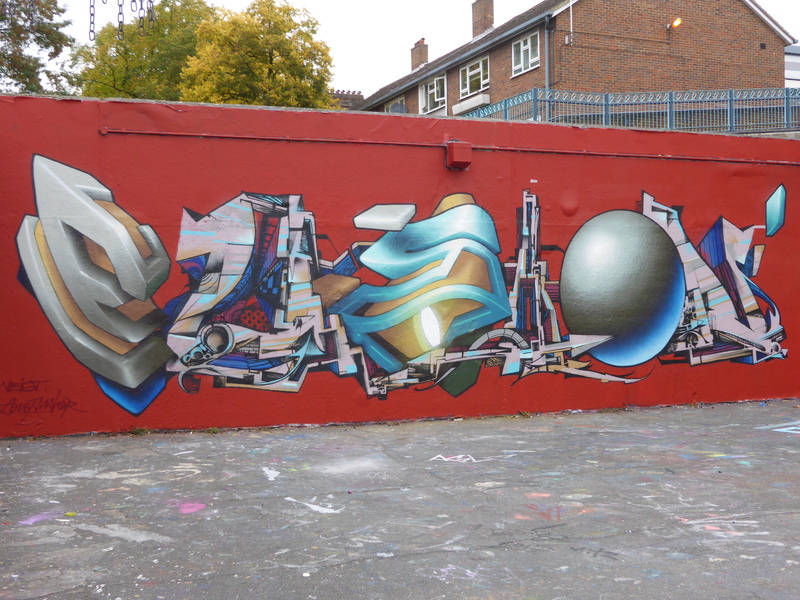 Last Sunday at the Stockwell Hall of Fame, arguably perhaps the best place to see high quality Graffiti in London, with a regular turnover of fresh new pieces to be seen each week or even daily, a fantastic an unusual piece of collaborative Graffiti was put up that we were really happy to find intact and wanted to share. 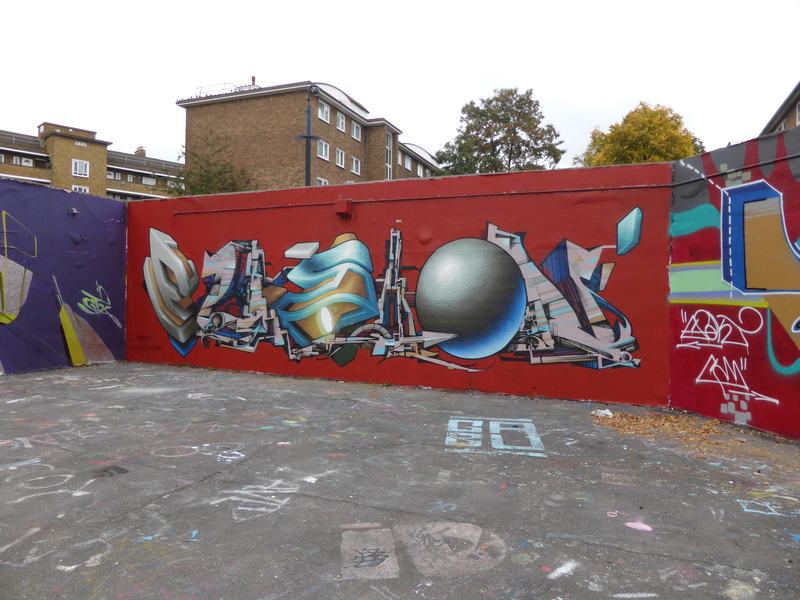 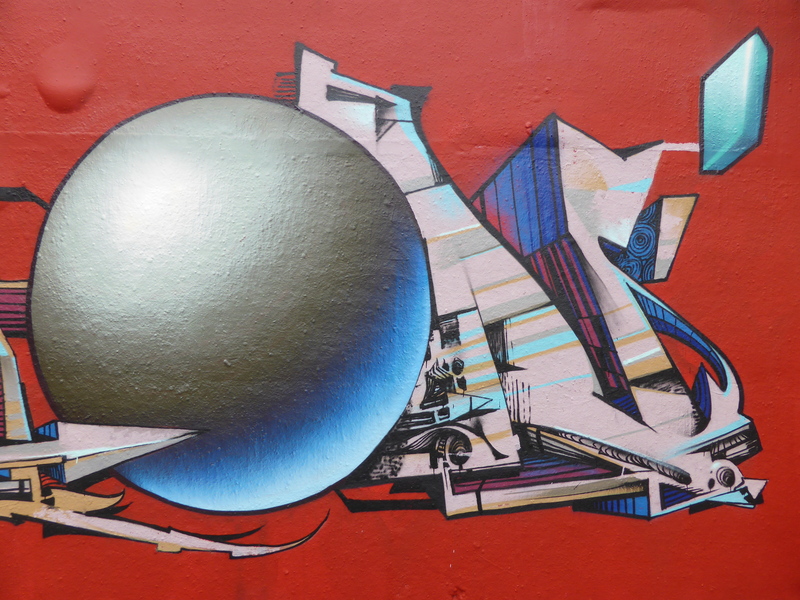 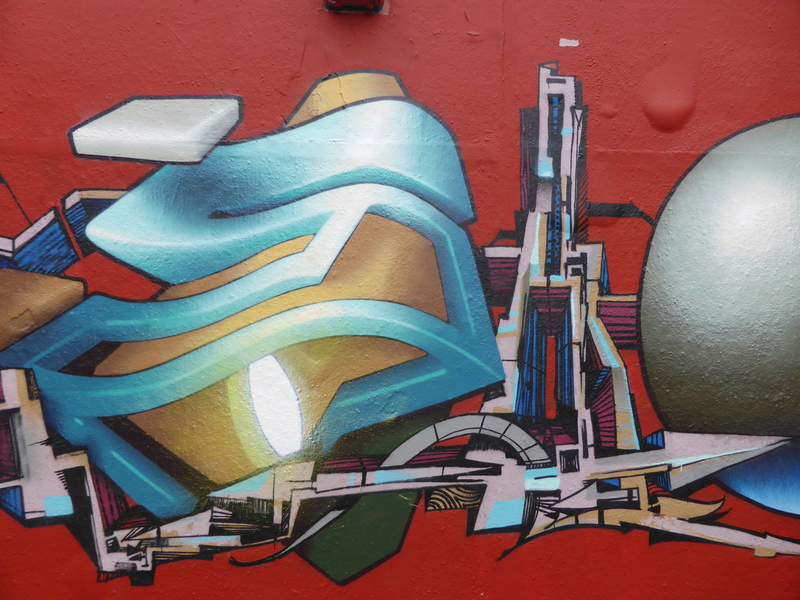 The work is a collaboration between two of London’s best resident Graffiti Writers, namely Lovepusher & Neist. 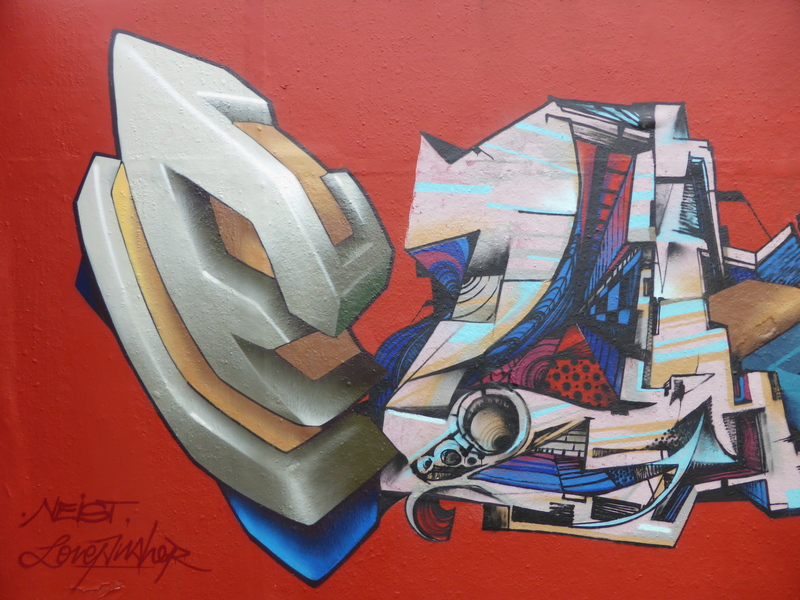 Lovepusher’s works of 3D typography are always an immense pleasure to gaze upon, whilst Neist works with a more abstract style that sees his letters appears as if constructed from a more architectural structuring. 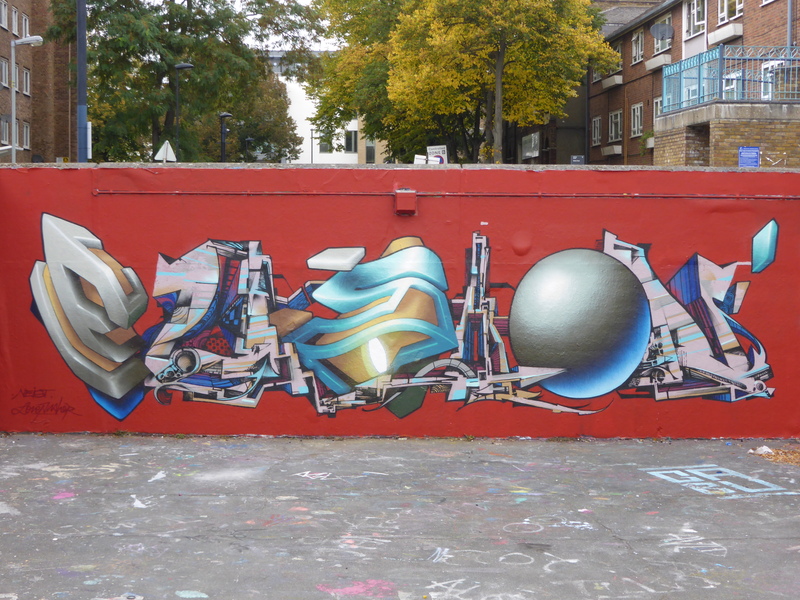 For this piece the pair dispensed with one or another’s tag and created the aptly named ‘Fusion’ which sees each artist take every other letter. 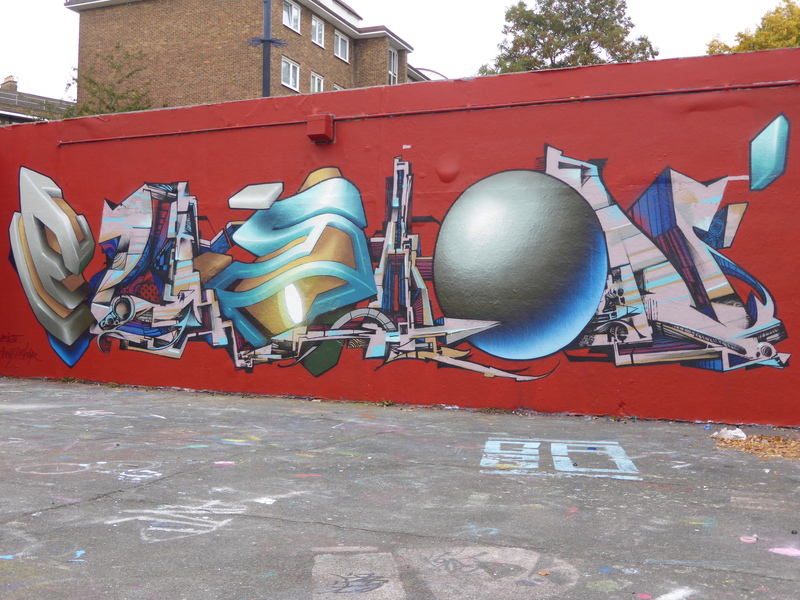 This is the first time we have seen such an elaborate collaboration in a Graffiti format and the result is excellent, a real sight to behold and one of the best pieces of Graffiti we have yet to see here at London Calling Blog.